My Favorite Cute Cuckoo Clocks for Sale! Have you seen these Cute and Fun Cuckoo Clocks for Sale? I remember my grandmother’s cuckoo clock and how fascinated I was by that little cuckoo bird that would come out and make a sound once in a while! 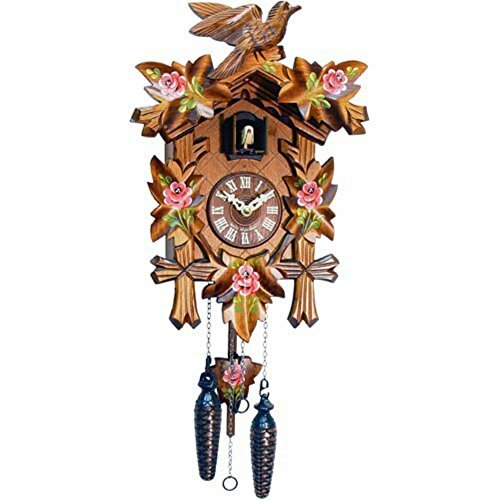 *This is a gorgeous bird and pink flowers cuckoo clock for sale, isn’t it? Cuckoo clocks make great gifts for mothers and grandmothers! Not just your regular, old-fashioned cuckoo clock, but one with a cute and colorful twist! This is one of my favorite cute cuckoo clocks for sale! 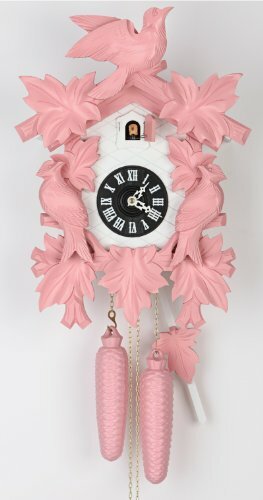 It’s an authentic German black forest cuckoo clock in PINK! It has three pink birds and seven pink leaves! Very Cute Snow White Cuckoo Clock! 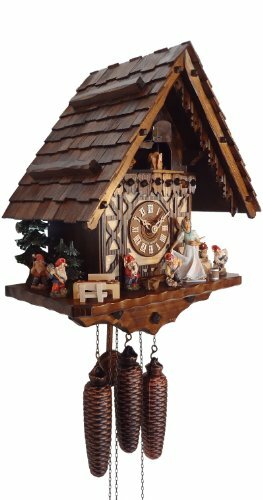 If you are looking for the most fun and unique cute cuckoo clocks for sale, I think you are going to LOVE this cute Snow White cuckoo clock! This gorgeous Snow White and her friends wooden cuckoo clock is adorable! The music movement has two melodies and 36 voices! The melodies are Happy Wanderer and Edelweiss and they change every hour! What an amazing gift idea for cute cuckoo clocks lovers! This white castle Disney cuckoo clock is amazing! 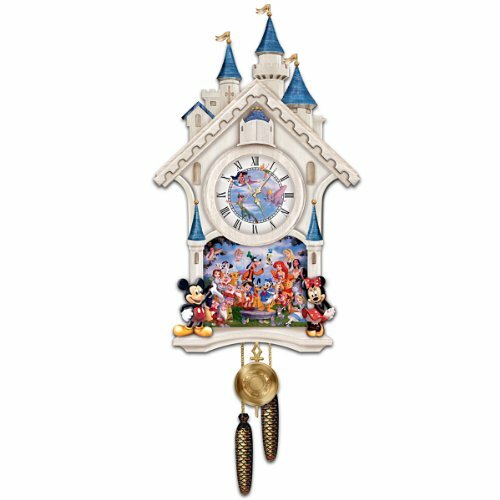 Every time you want to take a ‘quick’ trip to Disney World, just stare at this fun cuckoo clock for a few minutes! It has 42 fun Disney characters on it! Guess who appears to announce the hour? I love these decorative cuckoo clocks! Needless to say this cuckoo clock will be perfect for any Disney fans! It is so gorgeous and so unique! The Most Unique Cuckoo Clocks for Sale! 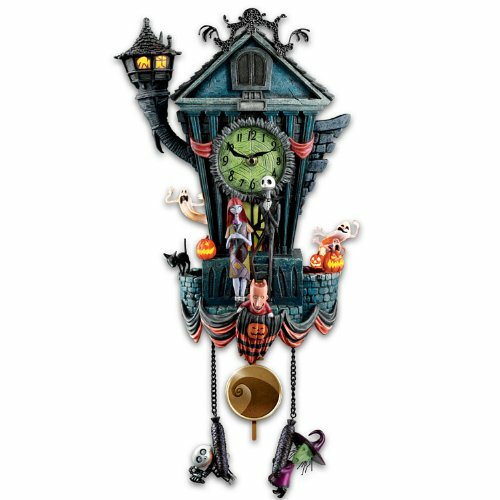 How cute, fun and unique is this gorgeous ‘Tim Burton’s The Nightmare Before Christmas’ cuckoo clock? It even has a very cool LED light on Jack’s tower! Every hour Zero pops in and out of the doors atop the Town Hall and the clock plays “This is Halloween”! Great gift idea for the movie fans! It’s a Motorcycle Garage Cuckoo Clock for Sale! To all the bikers and motorcycle lovers out there! If you or anybody you know in the family is a huge motorcycle fan or a biker, then I think you just found the perfect cuckoo clock for the home! 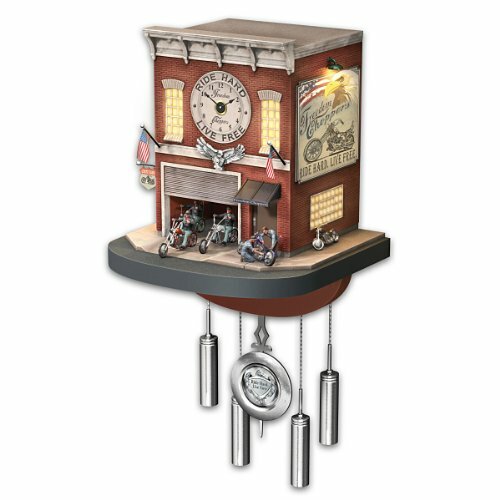 It is a motorcycle garage themed cuckoo clock! It is shaped just like a real (and very cool, by the way) motorcycle shop with amazing details, including the cool bikers and bike mechanics at the front! The choppers will come out of the bike shop every hour and the billboard will glow! 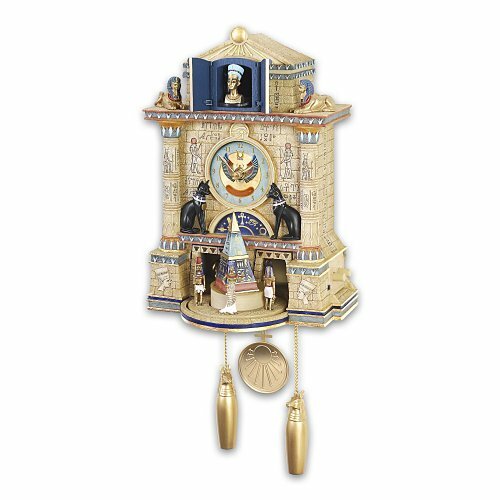 This Egyptian themed cuckoo clock is also among my favorite coolest cuckoo clocks for sale around! It is full of amazing details! You can see the golden sphinxes, Bastet cats, symbols of Aten, the sun god and the Eye of Horus, images of the scarab beetle, turquoise lotus flower renderings, symbolic hieroglyphics and more! At every hour Queen Nefertiti will make her appearance while the clock plays a cool Egyptian melody! Awesome decorative cuckoo clock to have! *Who wants to see the largest German cuckoo clock in the world? *Another big cuckoo clock in Japan!